7 Common Myths about Your Credit Score (Part 3) - Castle Rock Bankruptcy Attorney - Jon B. Clarke, P.C. Wrapping up our three-part blog 7 Common Myths about Your Credit Score, below is some additional information that can dispel some commonly held misconceptions about credit scores. If you need some more specific information about your financial situation, contact the Law Office of Jon B. Clarke. While filing for bankruptcy can impact a person’s credit score, these impacts are not permanent; with some work, credit scores can be improved over time. Myth 6: Utilization rates aren’t important to my credit score. Not true! First off, utilization rates are measurements that are intended to reflect the specific lending risk associated with a particular borrower. The higher the utilization rate is, the greater the amount is that the person owes on his open lines of credit; in the eyes of lenders, this means that it is less likely that the individual will have the financial capacity to repay borrowed funds. Conversely, borrowers with lower utilization rates will owe less money on their open lines of credit and generally will be viewed as lower risk borrowers in lenders’ eyes. Add the total amount you owe on all of your credit cards. Divide this number by the total credit limit of all of your credit cards. Multiply this number by 100. Financial experts generally recommend that, if and when possible, people keep their utilization rates below 30 percent. 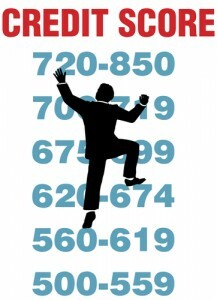 Myth 7: Filing for bankruptcy will permanently damage my credit score. False! Although filing for bankruptcy can impact a person’s credit score for some years, these impacts are not permanent, and there are many things a person can do immediately after filing for bankruptcy to start rebuilding his or her credit score. The fact is that, if someone is facing the possibility of having to file for bankruptcy, that individual has likely missed some debt payments, may have gone into default on some debt and likely already has a moderate to poor credit score. In such cases, filing for bankruptcy can discharge some of these outstanding debts and give the borrower a financial fresh start, which can get him on the path towards rebuilding his credit score and getting back in good financial standing.